'Epic Mickey' Takes Disney's Mouse Into A Video Game 'Wasteland' : All Tech Considered Mickey Mouse is headed for a new adventure on the Nintendo Wii. It's called Epic Mickey and the company hope that the title will make their main mouse a star in the world of video games. Mickey Mouse is back with a new attitude in an attempt to crack one market that has so far been a bit of a disappointment for the superstar cartoon character: video games. 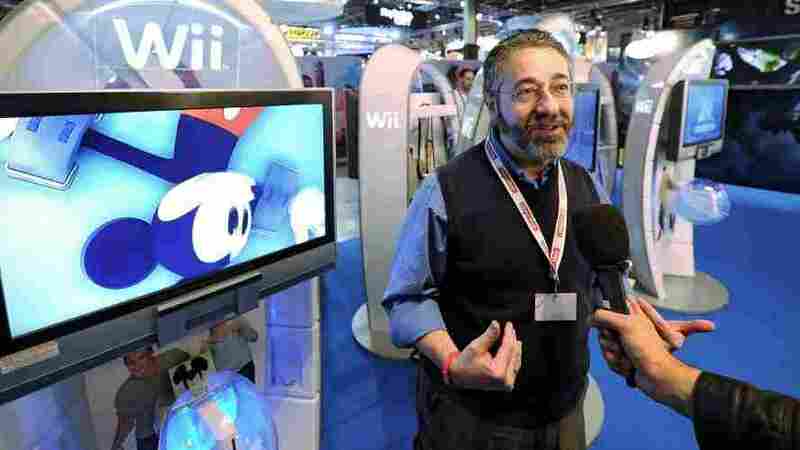 Epic Mickey is scheduled for release Tuesday on the Nintendo Wii. The game plops the charming little mouse in world called "Wasteland" that's full of discarded Disney characters and detritus. Your job, if you choose to take up this challenge, is to help Mickey escape this dark corner of the Disney empire. To help him through his adventure in the Disney dustbin, Mickey carries a paint brush and paint thinner as his "weapons." How you use them as a player determines your fate, and the mouse's character. But it's safe to say that this video game version of Mickey tends to have more of an edge to him than the character we're used to from the big screen. He might even be called "naughty," at times. Among the forgotten characters Mickey encounters on his odyssey is "Oswald the Lucky Rabbit." Warren Spector, the creative director behind Epic Mickey, told NPR's Guy Raz that Oswald was Walt Disney's first big star but hasn't been seen in one of the company's productions since 1928. Disney lost the rights to him in the late 1920s, only regaining them in 2006. This is the first time the company has used him since then. Oswald plays something of the foil to Mickey's character as the mouse tries to escape consignment to Disney's Wasteland. 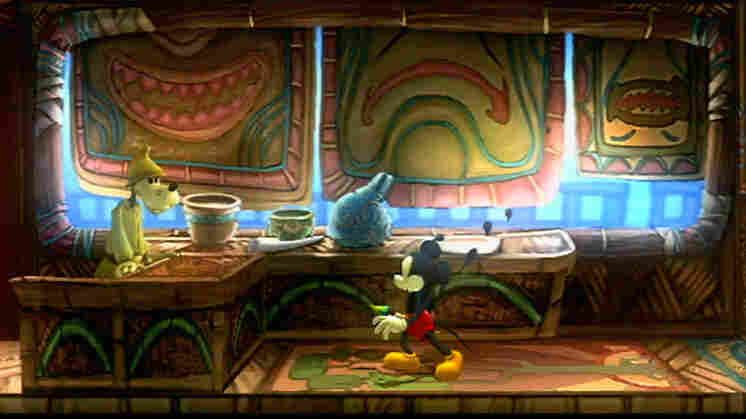 The real test for Epic Mickey, however, is not whether the mouse can make his way home. The real test is whether Spector and his team have managed to make Mickey a video-game star, a genre that has so far resisted fully embracing Disney's leading man.